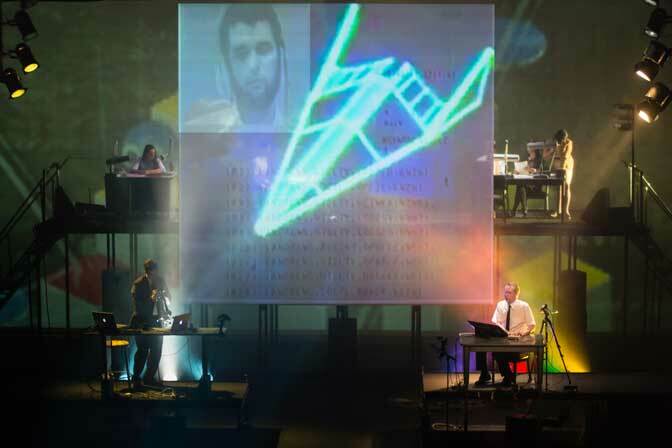 The Demo is a music theater work written by composer/performers Mikel Rouse and Ben Neill based on Douglas Engelbart’s historic 1968 demonstration of early computer technology. 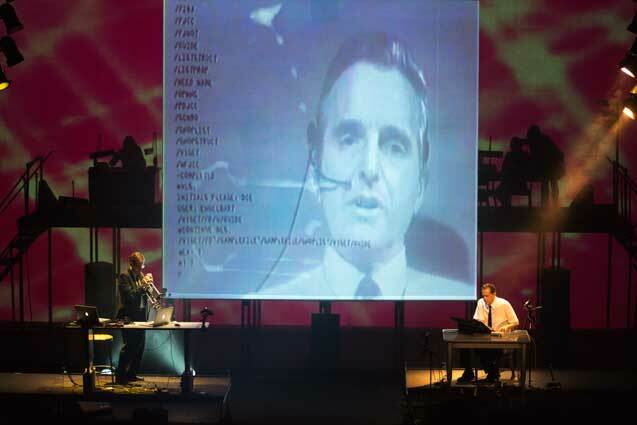 Engelbart’s 1968 demo rolled out virtually everything that would define modern computing; videoconferencing, hyperlinks, networked collaboration, digital text editing, and something called a “mouse.” The Demo re-imagines Engelbart’s historic demonstration as a technologically-infused music theater piece, a new form of hybrid performance. 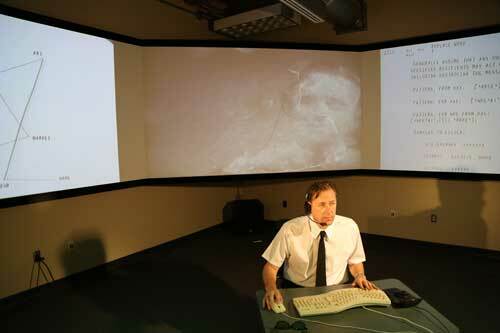 Douglas Engelbart is the most influential figure in the early history of computers and the Internet. 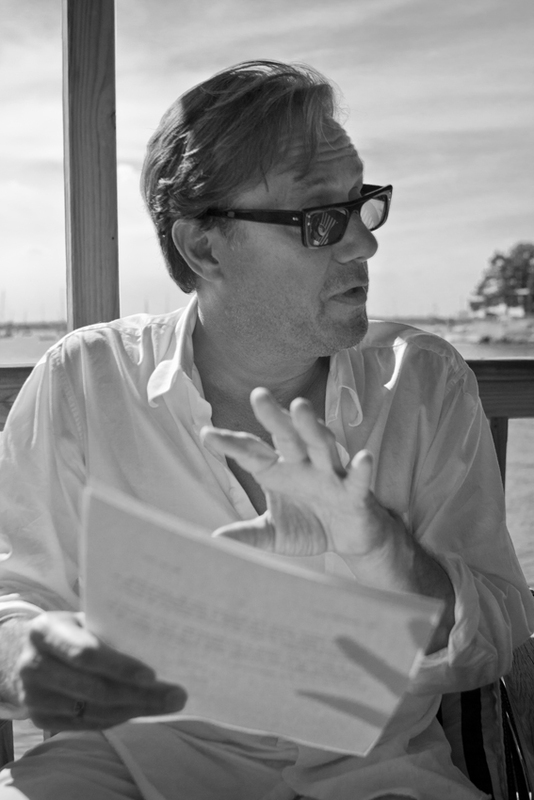 His unique vision turned the computing world on its head in the 1950s and 60s and he is responsible for inventing many of the tools that we now take for granted in our daily lives. 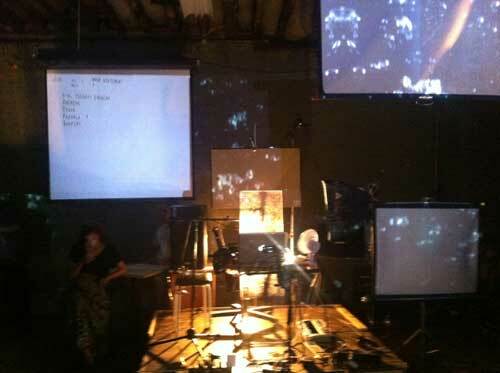 The Demo re-imagines Engelbart’s historic 1968 demo as a technologically infused music/video performance. 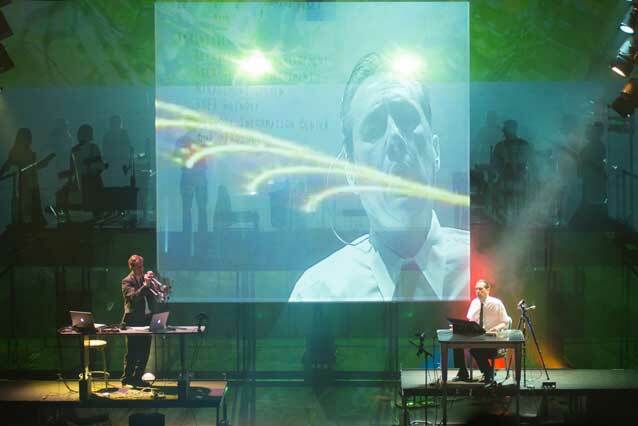 In The Demo, the legendary event and Engelbart’s life journey are re-imagined as a new form of hybrid performance art. 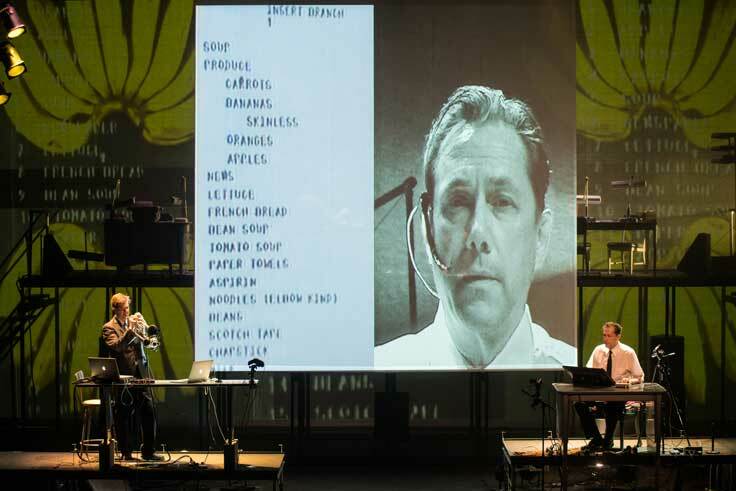 Rouse portrays Engelbart in The Demo, while Neill plays his technical assistant, William English. 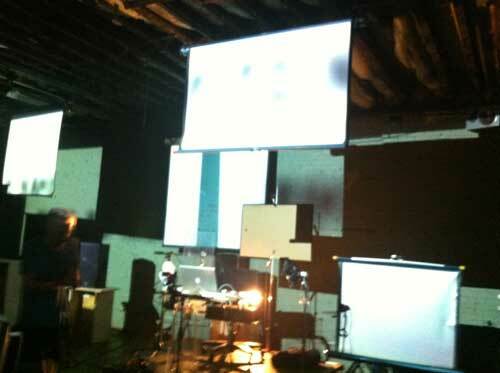 Using the video of the original 1968 demo in its full 100 minute form, the artists are creating a piece built on the formal framework of this historic event. 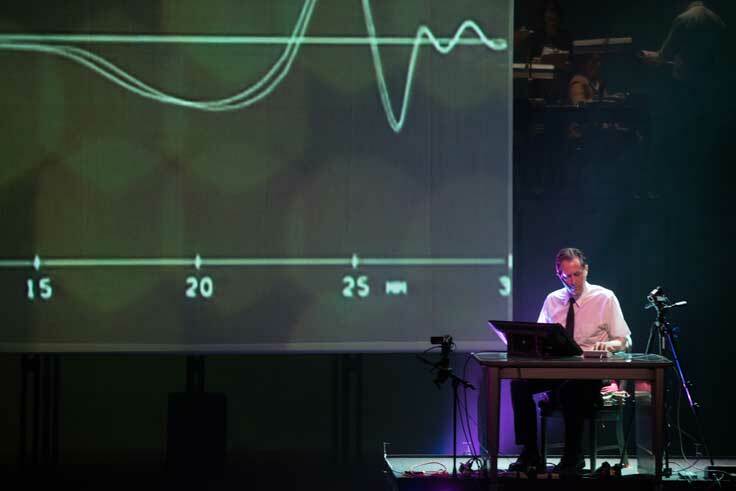 The Demo is being created collaboratively with NCSA and includes re-enactments of the demonstration, live vocal and electronic music, interactive video, computer-based voice processing and triggering, and Neill’s interactive electro-acoustic instrument, the mutantrumpet. 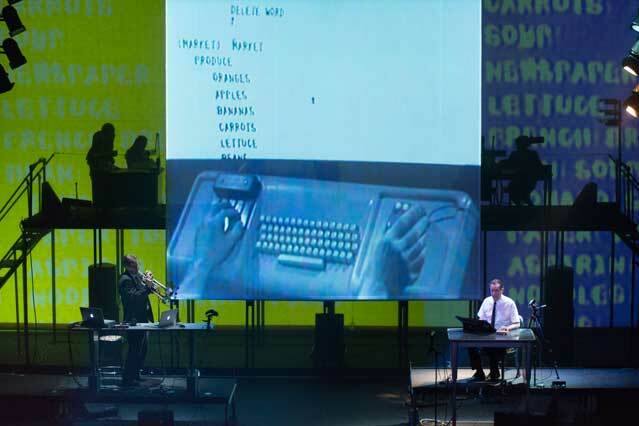 The typed text of the original demo serves as the libretto for the vocals, performed by Rouse and others, repurposing the technical jargon as opera supertitles. 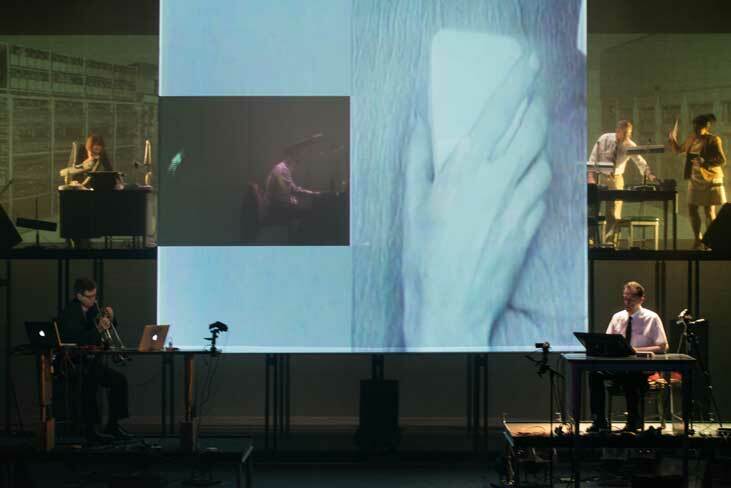 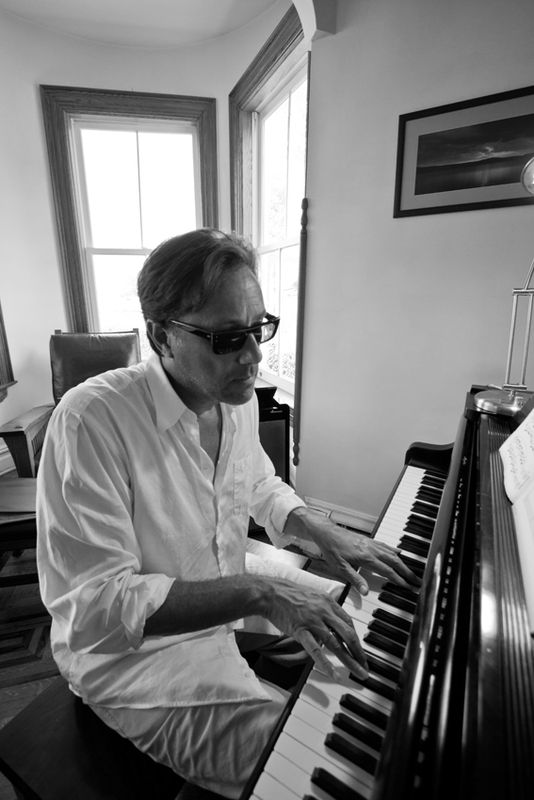 Video scenes that evoke important elements in Engelbart’s personal journey, including the epiphanies which set him on the course that would ultimately result in “the mother of all demos,” are interspersed throughout the piece. 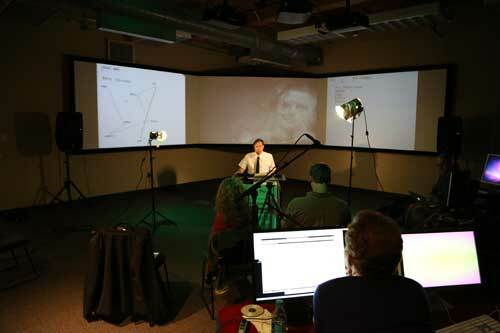 The work culminates in a futuristic ending which projects Engelbart’s technological vision into the future. 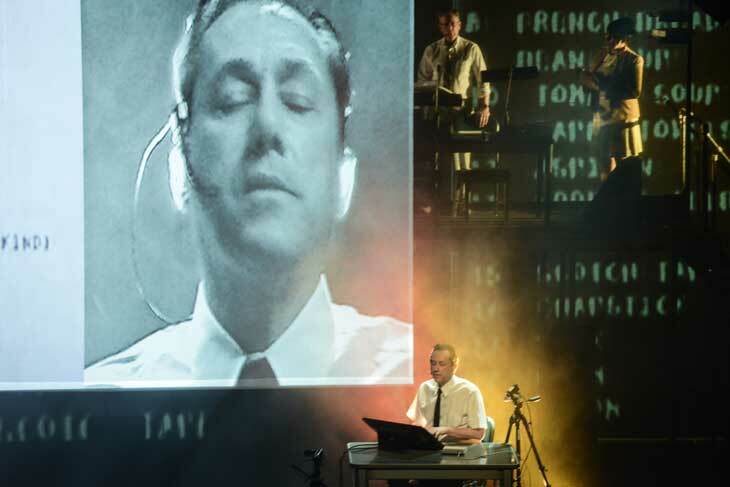 Engelbart has been described as a gentle, dreamy character with a utopian idealism. 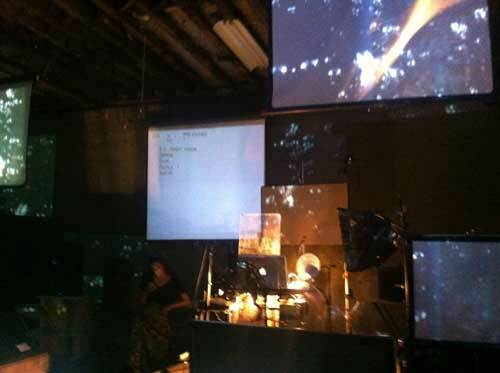 The Demo will create a sense of dreaming forward and backward through music, performance, and digital video within the frame of the original 1968 presentation. 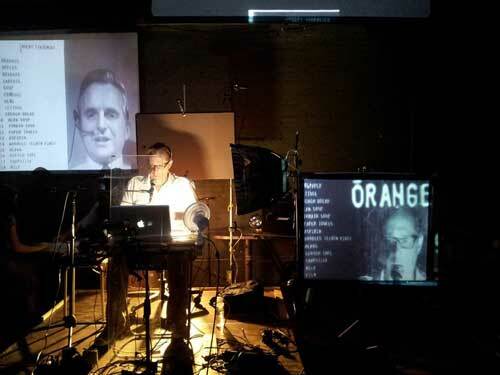 The production will depict the original demo as it happened in San Francisco in 1968 as well as the remote site in Menlo Park where members of Engelbart’s team interacted with him live. 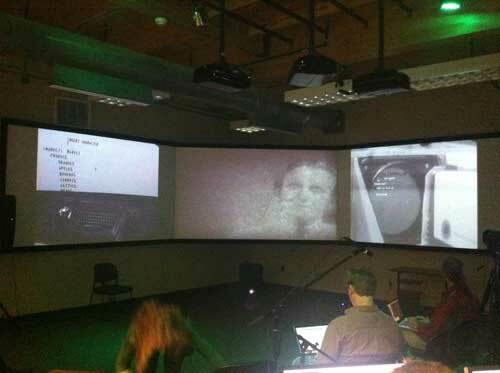 A variety of new audio and video performance technologies are being explored by the artists with NCSA. 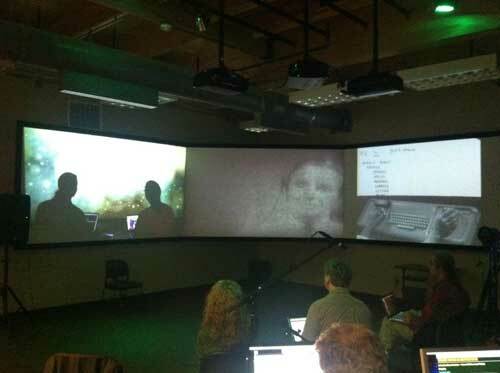 The Demo will use these interactive systems to tell its story, a reflection of Engelbart’s impact on the contemporary world.